As the booming lumbering industry began to drive the state’s economic engine, the Lumber Exchange Building was constructed in 1885 to house both the local and out-of-state trading distributors. At 12 stories tall, the building heralded the city’s entrance into the skyscraper era. It remains the oldest 12 plus story building outside of New York City. 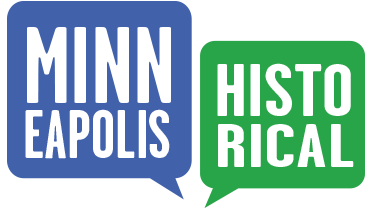 Architects Long & Kees designed the building, among multiple others in the city, in the Richardsonian Romanesque style emphasizing bold massing and blank stretches of wall contrasted with bands of windows. It was completed in two phases, with two additional stories added in 1890. 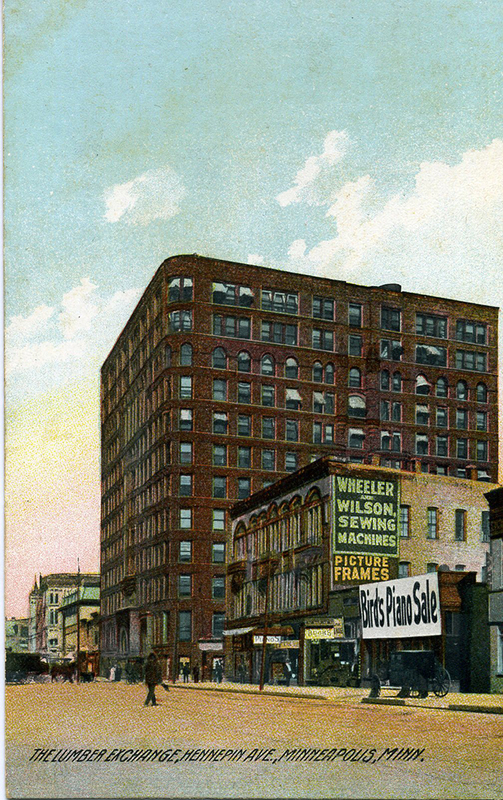 The building was hailed as one of the first fireproof skyscrapers in the nation, using two differing fire prevention technologies, and was quickly put to the test in 1891 when a fire erupted in a nearby paint store. The slightly older 10-story portion of the building was designed in a “slow burn” construction method while a modern fireproof method was used for the 2 newly constructed floors above. The fire raged for 24 hours and left the older portion in ruin while the above floors remain almost completely unscathed. A terra cotta sheathing was applied to the wood and iron skeleton soon after. 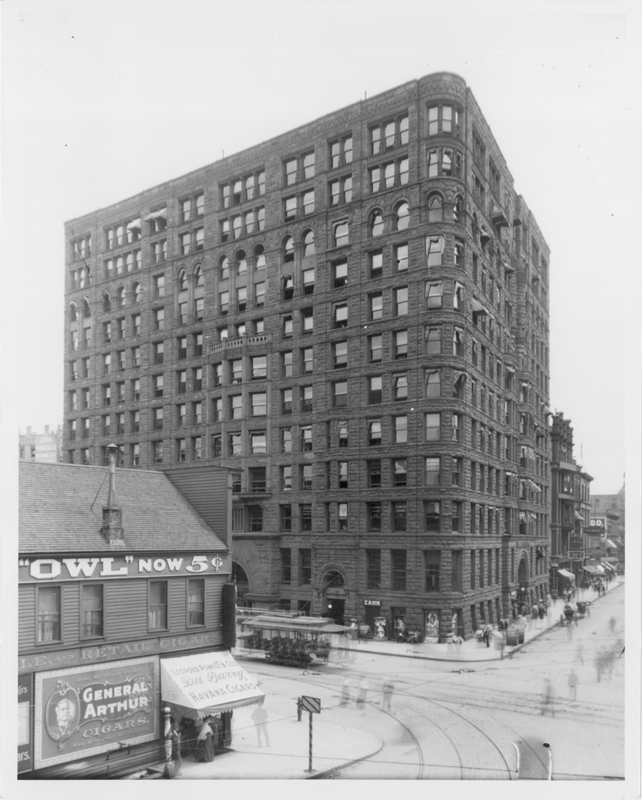 Preserve Minneapolis, “The Lumber Exchange Building,” Minneapolis Historical, accessed April 18, 2019, http://minneapolishistorical.org/items/show/101.